Chan S. Hwang, MD is recognized by the American Health Council as “Best in Medicine” for his outstanding contributions to the medical field. Founder and physician at Lakewood Electrodiagnosis & Adult Physiatry in Lakewood, Wash., Dr. Hwang conducts medical and electrodiagnostic consultations. Since entering the healthcare industry over 14 years ago, Dr. Hwang has garnered comprehensive skills and knowledge in physical medicine, electrodiagnostic medicine, neuroscience and rehabilitation. Fascinated with neuroscience and related autonomy, Dr. Hwang decided to pursue a career in the medical field with a goal to provide excellent electrodiagnostic, physiatric and rehabilitative services. After earning a medical degree at Loma Linda University in 1994, he served as a fellow of the American Academy of Physical Medicine and Rehabilitationat Northwestern University — The Feinberg School of Medicine. As a fellow, Dr. Hwang received the Scholl Recognition Award for Rehabilitation Research and received the Elizabeth Morse Charitable Trust grant. During his time at Northwestern University, Dr. Hwang compiled and published his research, “Prevention of venous thromboembolism in patients undergoing rehabilitation after stroke” (with David Green, MD) and Kirschner KL, Hwang CS, Bode RK, Heinemann AW: Outcomes of cardiopulmonary arrest in an acute inpatient rehabilitation setting. Am J Phys Med Rehabil (February) 2001;80:92-99. While at Northwestern, Dr. Hwang simultaneously served as a resident physician at the Rehabilitation Institute of Chicago, where he expanded his expertise to include electrodiagnostic and physiatric consultations and an array of rehabilitation acumen, including chronic pain, traumatic bran injury, spinal chord injury, cardiac, neuromuscular disorders, orthotic and prosthetic and pediatric rehabilitation. 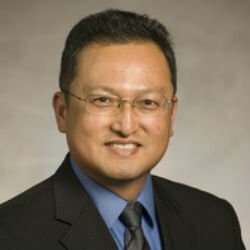 After completing both his residency and fellowship in 1998, Dr. Hwang served as a clinic physician at Pacific Rehabilitation Centers in 2001, where he performed evaluations in the center’s Return-to-Work/Pain Management Program. While remaining at Pacific Rehabilitation Centers, he became an associate at Electrodiagnosis and Rehabilitation Associates of Tacoma in 2002 and remained in that role until 2005. After departing from Pacific Rehabilitation Centers in 2014, Dr. Hwang served as a physician at MultiCare Health System, where he treated patients diagnosed with spinal disorders, traumatic brain injuries, and strokes. As the only electro diagnostician in the area, Dr. Hwang additionally helped patients lose weight by creating a variety of exercise programs. He remained at MultiCare Health System until 2017 and continues to provide high-quality care at Lakewood Electrodiagnosis & Adult Physiatry. Dr. Hwang’s objectives are to maintain competence in his specialty, deliver health care services in a timely and compassionate manner and to educate providers and patients about the role of lifestyle in the progression or mitigation of chronic disease processes. Dr. Hwang has served as president of Lifestyle Community Clinics since 2011 and is an active member of the American Academy of Physical Medicine and Rehabilitation and a fellow member of the American Association of Neuromuscular and Electrodiagnostic Medicine. In his free time, he enjoys spending time with his wife — who is a doctor — and his children, as well as hiking, camping, white-water rafting and playing music with his family. He volunteers in local free clinics domestically and internationally and delivers various health lectures. Board-certified in physical medicine and rehabilitation, Dr. Hwang attributes his success to luck. He believes he was in the right place at the right time and considers himself to be incredibly blessed to perform the work he loves daily. He plans to continue to help others by conducting research on obesity in the future. He would like to develop an obesity center that can be a resource for many people in need across the country. He served as a fellow of the American Academy of Physical Medicine and Rehabilitation at Northwestern University — The Feinberg School of Medicine. Board Certified in Physical Medicine and Rehabilitation. Dr. Hwang’s objectives are to maintain competence in his specialty, deliver health care services in a timely and compassionate manner and to educate providers and patients about the role of lifestyle in the progression or mitigation of chronic disease processes.